Official Classic "The Jam" T-Shirt To Be Released In Limited Quantities! – Paul Weller News! Official Classic "The Jam" T-Shirt To Be Released In Limited Quantities! 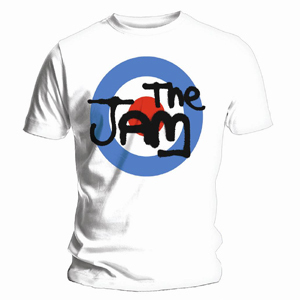 The Jam are to release a fantastic new t-shirt of their classic logo at the end of October. These t-shirts will be done on a limited pressing and sell out very quickly. Order yours now or you will miss out! The t-shirt comes in Small, Medium, Large & X Large. Previous Entry Paul Weller Recipe In Teenage Cancer Trust’s Rockstar Cookbook! Next Entry Paul Weller Inspects The New Burberry 2012 Womenswear Line!